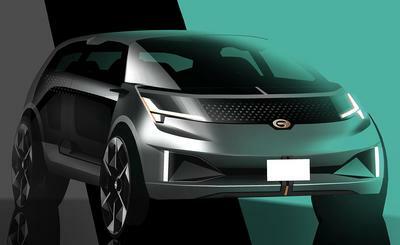 DETROIT, Jan. 15, 2019; Automaker GAC Motor impressed audiences at the 2019 North American International Auto Show (NAIAS) on January 14 with the world premiere of its ENTRANZE concept car, emphasizing the automaker's human-centric approach to family vehicles. The ceremony was attended by distinguished guests, including media, global suppliers and partners. With most of the car made of environmentally sustainable materials, the interior of ENTRANZE is more influenced by home decoration than cars and is a great contrast to the technology and the stark exterior. "Ultimately, automotive products are a means for people to connect during life's great journey. The ENTRANZE concept embodies our vision to provide mobility solutions that enrich lives," said Yu Jun, president of GAC Motor. GAC Motor has also displayed its portfolio of star vehicles of SUVs, sedans, minivans and NEVs, including GS8, GS4, GS5, GS7, GS3, GA4, GM8, GM6 and GE3 530 at NAIAS 2019. At the show, GAC Motor officially announced that it has registered its North American Sales Company in Irvine, Calif., near Los Angeles. The regional headquarters will be responsible for branding, marketing, product planning and financial affairs. GAC Motor also announced at the press conference that the GAC R&D Center Detroit has officially begun operation. Located in Farmington Hills, Mich., the new R&D center was built with an investment of US$ 4.4 million and encompasses nearly 50,000 square feet of real estate. It will serve as a hub to assist the design and R&D of GAC Group's products for the U.S. and other overseas markets. Specifically, the center will focus on product development, ground-breaking technologies, talent recruitment and training. The Detroit hub connects GAC Motor's two additional California R&D centers with the GAC R&D centers in China. These centers will contribute significantly to the advancement of the company's global R&D and automobile manufacturing network. Located in Newport Beach, Calif., the GAC Advanced Design Center Los Angeles opened in April 2018 and is responsible for advanced design, UI/UX development and brand visuals for GAC Motor. It's led by executive design director Pontus Fontaeus, an internationally recognized car designer who introduced their latest creation ENTRANZE at 2019 NAIAS. "In the future, we will continue to make our products more intelligent and transform to a mobility service provider so as to share the unique charm and value of the new era of 'Made in China' with global consumers," said Yu.